Are you one of the lucky expats living in Portugal? A country filled with stunning sceneries, superb beaches, friendly locals and where the sun glows all summer long? If you are living in this beautiful country or you are planning to, have you thought about a UK pension transfer to Portugal? Portugal’s residents are known to be welcoming and friendly towards expats. Therefore, there is no need to worry if you do not speak Portuguese, as many locals enjoy practising their English. Furthermore, there is a large amount of expats living in Portugal, as the destination attractiveness increases year after year. Consequently, it is considered fairly easy for expats to settle down in this beautiful country. Once you do settle down, you might want to analyse your new financial situation. As moving to a new country means re-organising your financial matters and figuring out the best way of accessing those plans you currently possess back in the UK. Whether that be an investment account, a UK pension or a savings account. If you have previously worked in the UK, you may have one or various occupational pensions that you have accumulated over the years. When you move overseas, you have the possibility of taking these pensions with you. Nonetheless, before you decide to transfer your pensions, you may want to find out whether this is the best option for you, as everyone has a unique financial position. 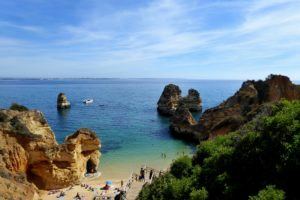 To figure out whether a UK pension transfer to Portugal is the right choice for you, the pros and cons of each option should be assessed. Due to the current turbulence within the stock market and the low-interest rates, it appears transfer values are higher than usual. Furthermore, there is also a rising concern regarding currency risk, as a result of sterling falling against other dominant currencies. Therefore, many are finding it essential to have control over their investments due to the consequences of the stock market. What makes a pension transfer to Portugal even more attractive? In 2009, Portugal introduced a new regime with the objective of attracting expats to live in their beautiful and sunny country. This regime is known as the “Non-Habitual Tax Regime”, Golden Visa or NHR. It allows new residents who are relocating to Portugal, benefit from tax exemption on foreign income for their first 10 years of residency. This is due to the Dual Tax Treaty between Portugal and UK, set to avoid double taxation for those who have earned income in the UK and reside in Portugal. Therefore, Portugal is in charge of taxing your foreign sourced income, who is offering its new residents 10 years tax-free. Meaning pensioners are able to take their pensions tax free. Nevertheless, there are several conditions one must follow to be eligible for this regime. Such as becoming a Portugal tax resident, having to stay in Portugal for longer than 183 days per tax year and not having been a Portugal tax resident within the last 5 years. Harrison Brook specialises in providing financial advice to expats. We believe it is essential to be well-informed of the options available to you in order to make the right decision. If you find it difficult assessing your financial position, or you wish to know more about Portugal NHR scheme, speak to one of our advisers for further details. 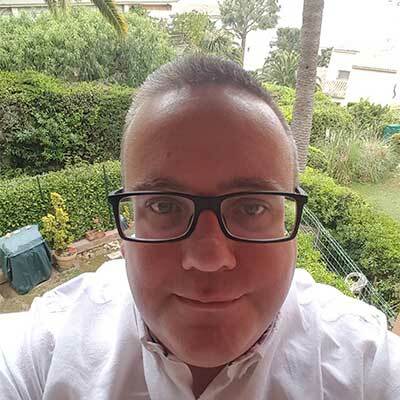 The company has built an excellent client-base in Portugal, as they have made it essential to establish their presence within the country by working with local partners. As a result, Harrison Brook can advice the most tax-efficient methods one should take advantage of when living in Portugal. Get in touch now and find out how we can help you make the most of your new home benefits.